What Happens If You Can No Longer Afford Chapter 13 Bankruptcy Payments? - R. Flay Cabiness, II, P.C. What Happens If You Can No Longer Afford Chapter 13 Bankruptcy Payments? Chapter 13 provides an opportunity to repair your situation life and get things back on track. It’s often referred to as “wage earners’ bankruptcy” because it’s only an option for those who have an income and can afford to make payments toward their debts. Instead of out-and-out discharging all of your debts, as is the case in Chapter 7, Chapter 13 bankruptcy reorganizes things and makes it possible for you to pay what you owe. The arrangement can also allow you to continue living in your home and retain ownership of other assets. Payment plans in Chapter 13 typically last three or five years based on your specific circumstances. Payments are set up based on what you can afford to pay. The plan also prevents creditors from applying interest and fees that prevent you from ever catching up on your debts. The goal of Chapter 13 bankruptcy is to provide an immediate but long-term solution to debt problems. 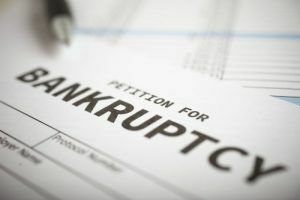 It ensures you’ll enjoy many of the benefits of Chapter 7 bankruptcy, but it also provides additional protections – provided you meet your obligations. To learn more about how Chapter 13 bankruptcy plans are created, check out this article from The Balance. Despite the benefits of Chapter 13, committing to a three or five-year plan can be stressful for some people. Life is unpredictable, even under the best of circumstances, and many people entering into Chapter 13 bankruptcy are reluctant to commit to a payment plan for such a long time. The good news is your Chapter 13 plan can be amended if life changes. There is a limited risk of committing to a plan because if there are any drastic changes in your life that affect your finances, your payment plan can be adjusted to suit your needs. Chapter 13 payments can be increased or decreased based on your earnings. They can also be extended from the original amount of time up to 60 months. This means people who originally entered into the three-year arrangement can extend it to the five-year repayment arrangement if needed. Another option is to surrender the exempted property your Chapter 13 bankruptcy is protecting. And in some cases, the court might let you suspend your payments temporarily, depending on your circumstances. Finally, it is possible to convert your existing Chapter 13 bankruptcy to a Chapter 7 plan. You’ll sacrifice the benefits provided in Chapter 13, but there are times when your financial situation changes so much in the midst of a Chapter 13 repayment plan that you’ll no choice but to convert to Chapter 7. Every bankruptcy case is unique, so it’s important to work with an experienced bankruptcy attorney about your situation. He or she can help you make the decision that is best for you and your financial future. To learn more or to consult with someone about changes that are needed in your Chapter 13 bankruptcy, contact R. Flay Cabiness, II, P.C. at (912) 554-3774 (Brunswick, GA); (912) 375-5620 (Hazlehurst, GA) or; (912)-554-3756 (Jesup, GA).